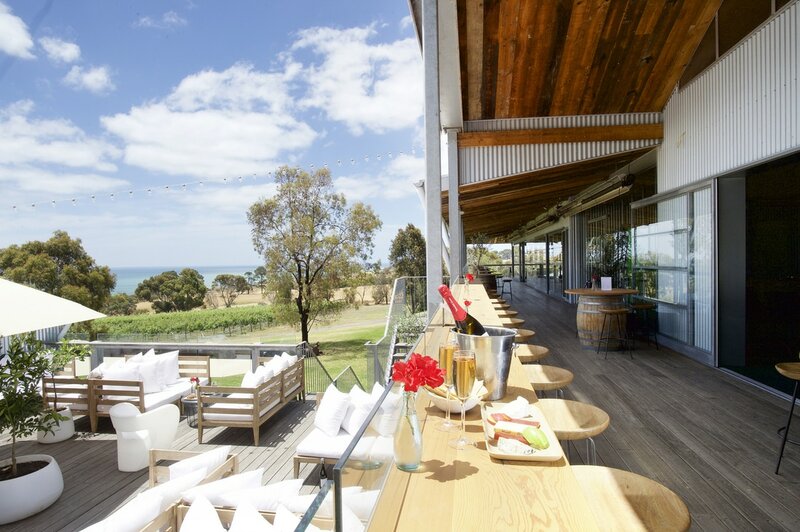 Bringing together award-winning wines, delectable food and spectacular views across Port Phillip Bay, is The Bellarine Peninsula's most beautiful boutique venue - Terindah Estate. Located less than 80 minutes from Melbourne's CBD and only 20 minutes from Geelong, we offer cellar door wine tastings daily as well as lunch in The Shed Thursday through to Monday. Terindah Estate is also the perfect venue for hosting weddings, private functions and corporate events. The Shed @ Terindah, with its floor to ceiling glass walls, ensures guests are inundated with panoramic views of the vineyard and spectacular vistas across the bay. The Shed is open for lunch from Thursday to Monday, weekend breakfast and dinner on Saturday evenings from 6pm. Available to hire for private events, weddings & special occasions. The Deck Lounge, enjoying picturesque views of the vineyard and across the bay, is the perfect place to enjoy a glass of wine and share a french inspired plate with friends. 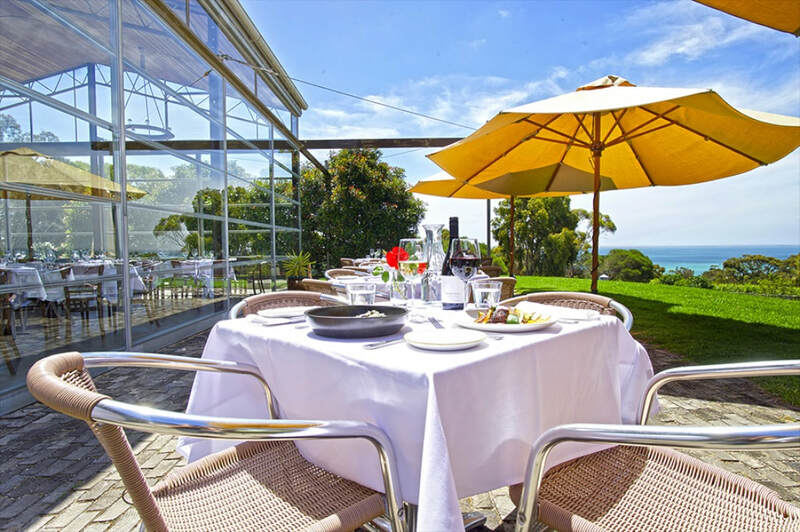 With an amazing sun soaked aspect, laze back in the comfortable lounges or pull up a stool and enjoy the best kept secret of the Bellarine Peninsula! ​The Deck is open daily from 10am. The first Terindah Estate private event was held in 2006, in The Shed, where until 2011 all special occasions and celebrations took place. ​In February 2012, the first event in the purpose built Event Space occurred. Purchase our wine at the Cellar Door, through our online store or through our popular wine club. James Halliday names Terindah Estate the Dark Horse of the Year 2016. Gourmet Traveller Wine names Terindah Estate "The cellar door with the best food in Geelong". Terindah Estate 2012 Shiraz wins The Shiraz Trophy - National Wine Show of Australia. 2016 has been one of our best years at Terindah, particularly with our crowning of the prestigious 'Dark Horse of the Year' award from James Halliday. We are thrilled and extremely proud to be recognised as a 5-star winery in the 2016 edition of the Halliday Wine Companion.